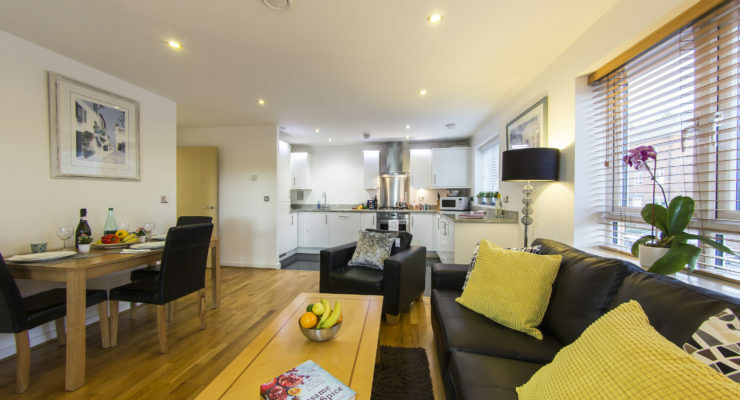 This luxury Elstree Serviced Apartment is close to the town centre and the BBC Elstree Studios and is available for short and medium lets. 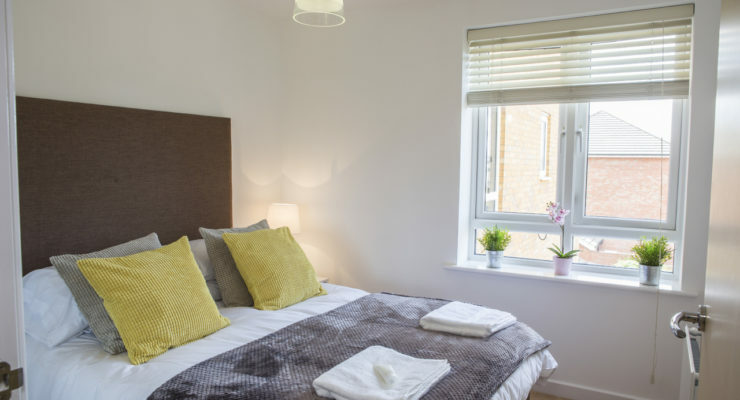 Local amenities are within walking distance, including a gym and swimming pool at the Venue Leisure Centre. There is a large Tesco supermarket only a five-minute walk away so you can easily stock up on all the provisions you’ll need. 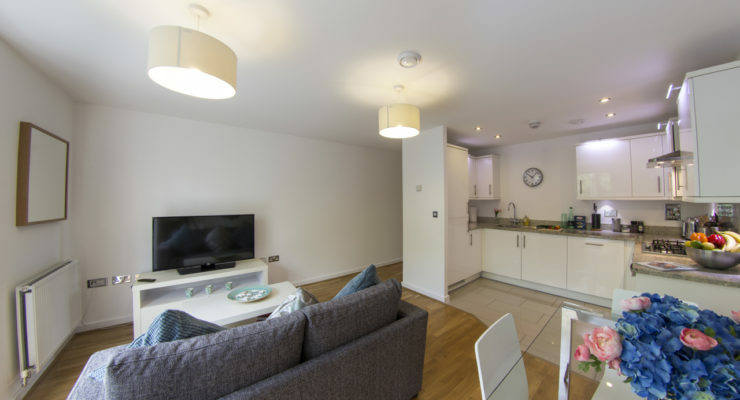 Elstree and Borehamwood train station is a short walk away which makes it easy to commute to London. A car parking space is also included in the price. 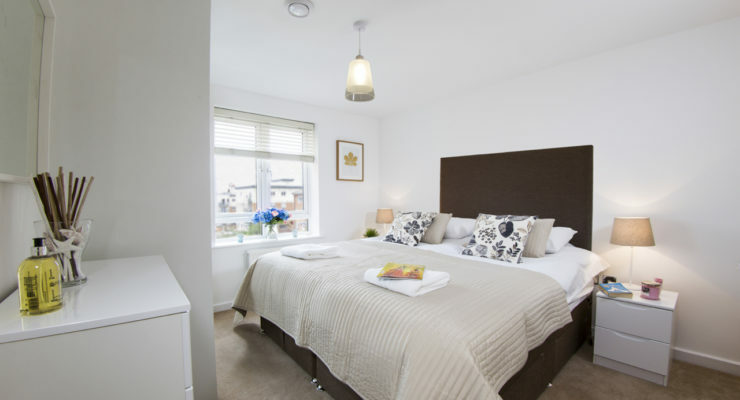 The apartment has two bedrooms which can be made up with double or twin beds. There is an additional sofa bed in the living room. 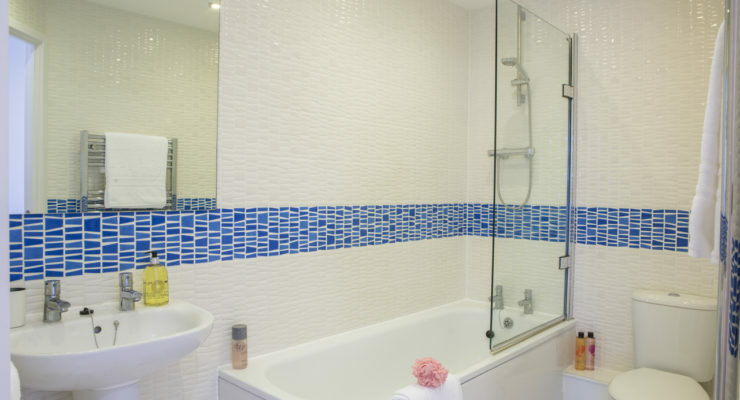 The master bedroom has its own en-suite shower room and there is a main bathroom for the rest of the apartment. 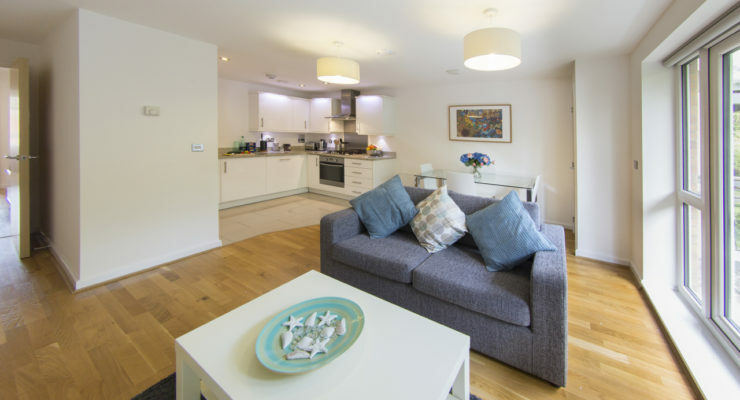 Our fully furnished apartments are great for business trips and corporate stays as well as for anyone looking for short-term accommodation in Elstree. 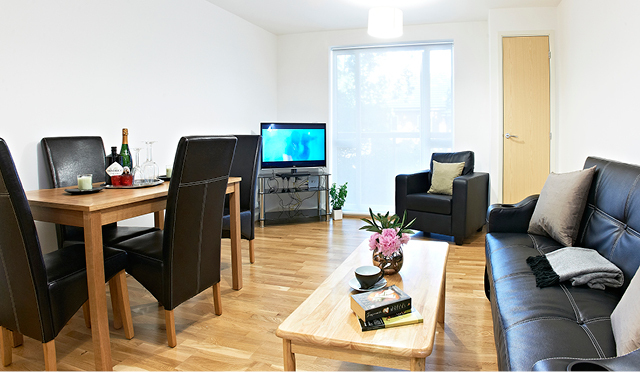 Prices for our Elstree apartments start from £100.00* per night. 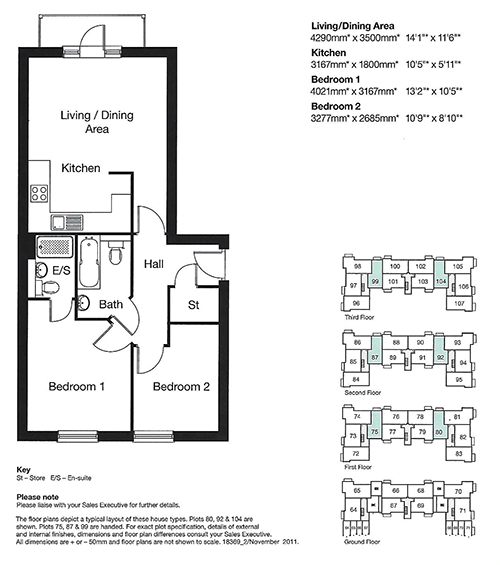 Please call us or fill in our online contact form to let us know your requirements. Maximum capacity is 6 guests.